Mira Prabhu says, “Why is Shiva called the Destroyer, and what does He destroy? Shiva, being pure infinite consciousness, transcends all relative limitations—rather, He consumes all duality in his divine fire. What is the focus of Shiva’s destruction? The Ego, or one’s relative identity—because this is the one deadly block to knowing who we really are—beyond body, mind, emotion, gender, IQ, history, lineage, education, status, bank balance and track record”. What, in the first place, is unconditional love? Each of us is likely to have our own special definition of this phenomenon, while Google would likely manifest a gazillion definitions in about three seconds flat. Kali, Aghori & Unconditional Love: Part 5 from Mira Prabhu, the great mystic and writer. My new home was being built and I was looking forward to the prospect of cultivating a garden and adopting animals. So when my Latvian friend offered me two gorgeous pups of Himalayan origin, I leaped with joy. Kali, Aghori & Unconditional Love: Part 4 of the amazing tale by Mira Prabhu. The years flew by and our group of fantastic females disintegrated. Some left Manhattan or began new lives that did not allow for the intimacy we’d shared as single women. As for me, I took a huge leap into the unknown at the eve of the millenium: I left my comfortable life in Manhattan for the foothills of the Himalayas in order to become a good Tibetan Buddhist. But that plan for enlightenment did not work out for a variety of reasons, and once again I found myself travelling here, there and everywhere, searching for that perfect home into which I could settle for the rest of my life, in order to focus on my creative and spiritual goals. My turn to host our fortnightly gathering rolled around. I wanted to make the evening truly memorable, but how? Out of the blue, Melissa—a member of our group who lived in nearby Carroll Gardens—called to invite me to watch a documentary with her. Bored with her job as assistant editor at a fashion magazine in midtown Manhattan, Melissa had begun to explore all forms of spirituality with a vengeance; it was our shared passion for mysticism that had drawn us extra close. That night we munched on pizza with extra cheese and peppers and goggled at the documentary: an exploration of the life of a powerful shaman in Brazil. Afterward, Melissa showed me an amazing gift she’d received from the guy who’d lent her the documentary—a journalist back from a trip to a sacred spot in South America where shamans still held sway. 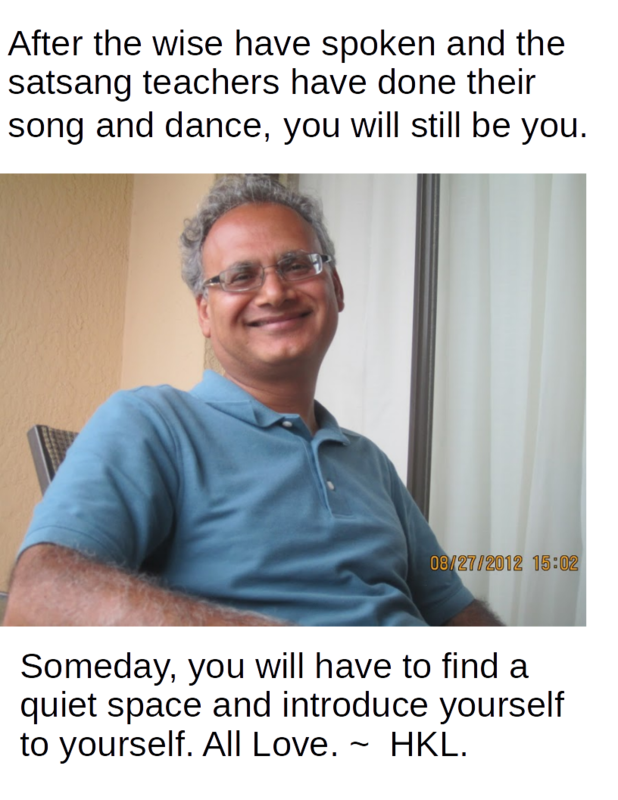 By Mira Prabhu, an extremely gifted and insightful yogini and writer. During my post-divorce years in Manhattan, I grew close to a band of unusual women ranging in age from their 20s to their 50s. Some were freelancers or regulars at the posh corporate law firm for which I then worked; others I’d bumped into at some cheese-and-wine affair that trendy Manhattanites throw in order to compensate for a crazy work-week; still others I’d encountered through the 12-Step program, whose meetings I attended in order to eradicate the insidious smoking habit slowly but surely draining my life force.